For any little one, the day will come when they have to make the transition from their small, familiar crib to a new big child bed. However, that transition can be a traumatic one. In fact, you might find that it is more problematic than you had anticipated if your child is particularly attached to their crib. Still, there are several things that a caring parent can do to help ease the transition. The first thing that you need to do when contemplating a move from a crib to a bed is to make sure that the child’s room is as safe as possible. You should not feel worried that your little one will be able to get into anything, as it takes no effort to get out of the bed, unlike a crib (even if your little one is already climbing out of the crib). Secure all cupboards, cover all electrical sockets, and of course make sure the windows are kept locked at all times. You also need to make sure that you show your little one how much fun a big kid bed is. If possible, it’s really better to buy a crib that can fold down to become a toddler bed when the time comes. This keeps the bed familiar to your little one. You can get these from most good furniture stores that have children’s furniture, such as IKEA. You can also buy a new cuddly toy, and tell your child that the toy must stay in the big kid bed (you could say they toy is ‘guarding’ it). If he or she wants to play with the toy, they must sleep in the big bed with it. However, if you do not have a transitional crib and bed, then you can still help your toddler find the bed more familiar than strange. 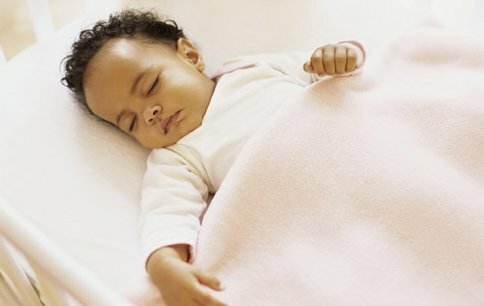 For instance, use the same mattress, sheets and pillowcases that were used in the crib if at all possible. If your toddler is jumping straight from the crib to a twin bed, then you will have to get a bit more creative here, but it can be done. Do not force your child to move from the crib to the bed, but be firm. Allow him or her some time to become adjusted to it, and expect some backsliding.